Many years stand the Firstborn Watchtower in my showcase. 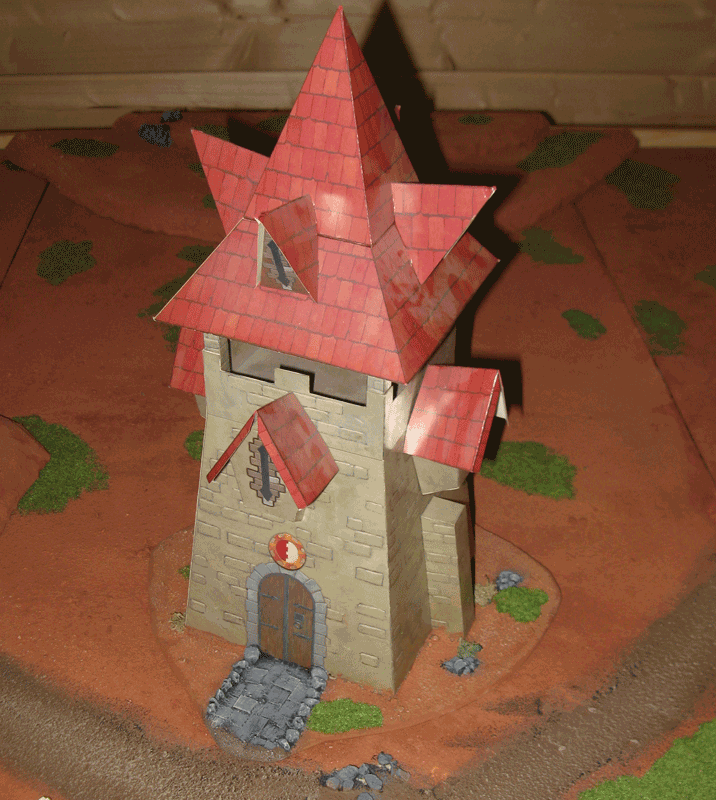 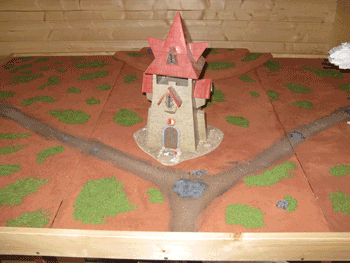 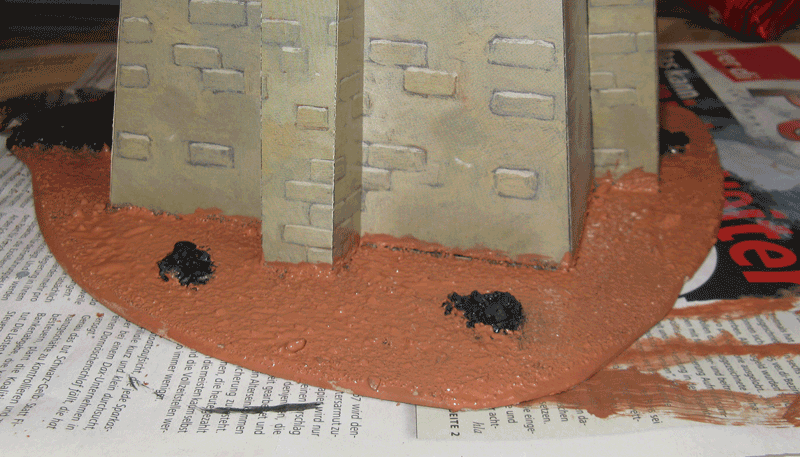 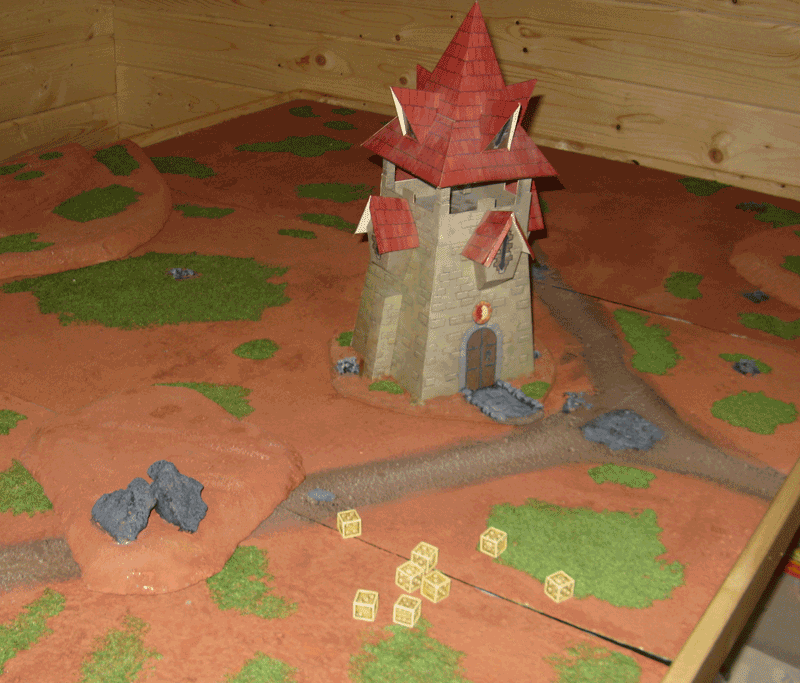 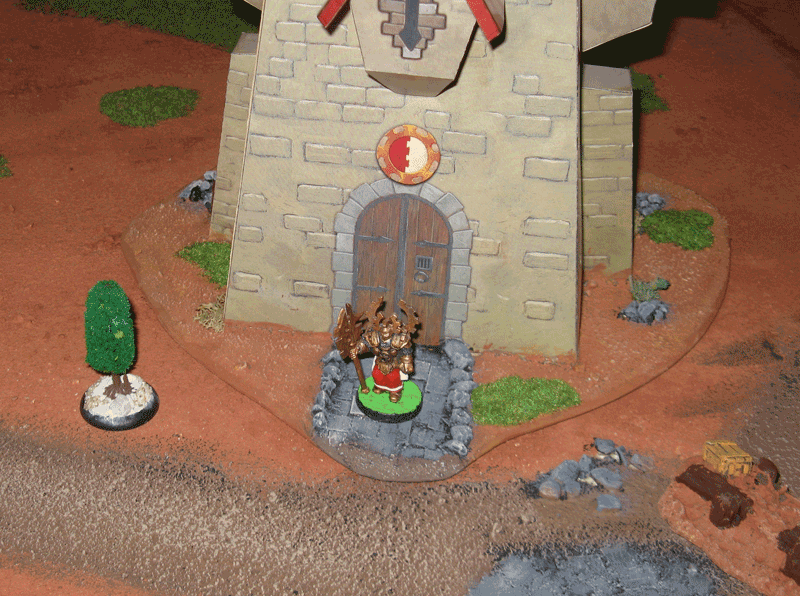 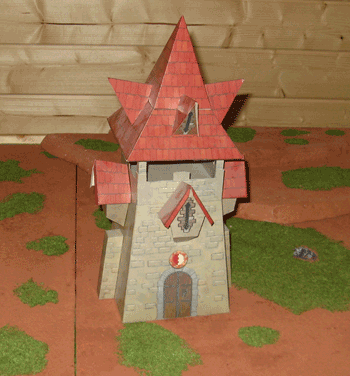 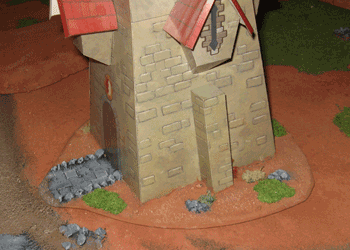 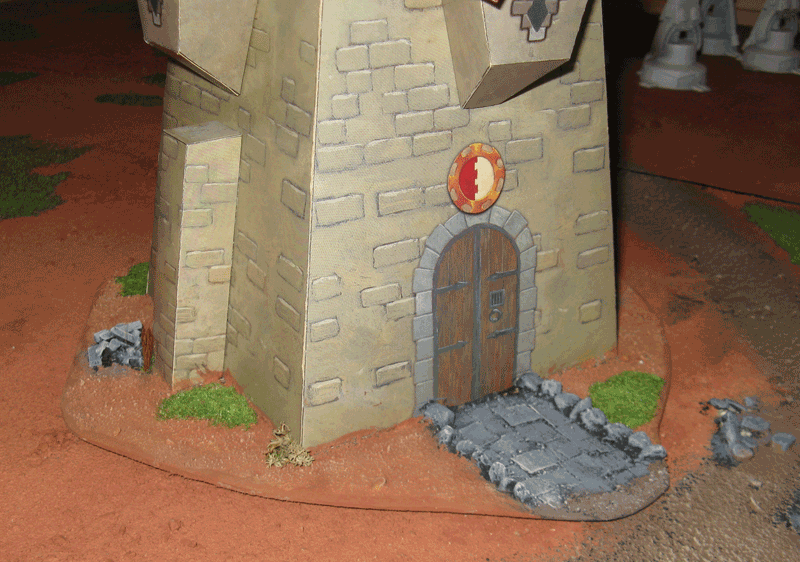 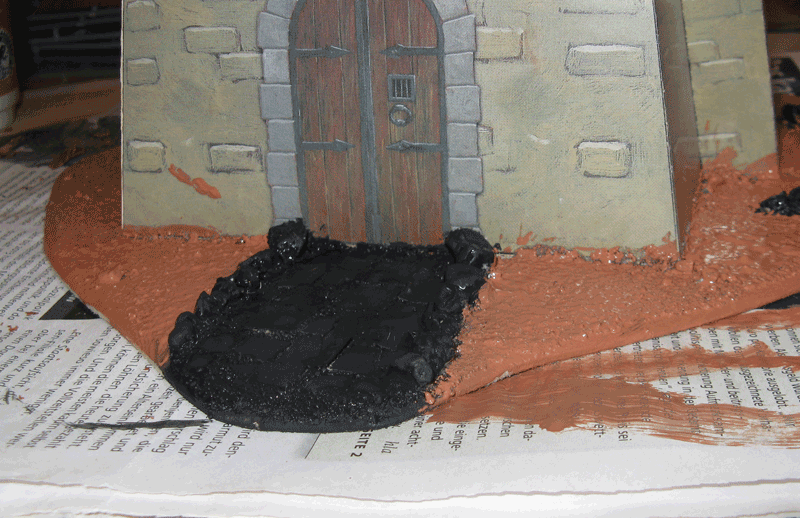 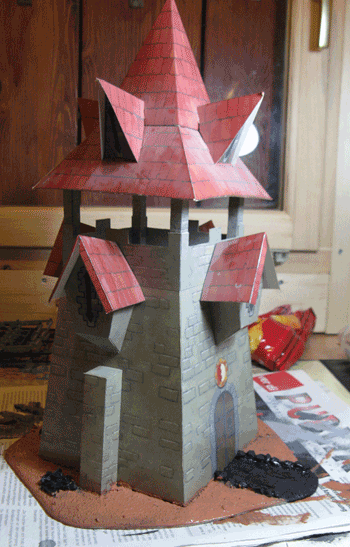 Since i worked at my game table i have an idea for a base for the watchtower in the paints of my table. 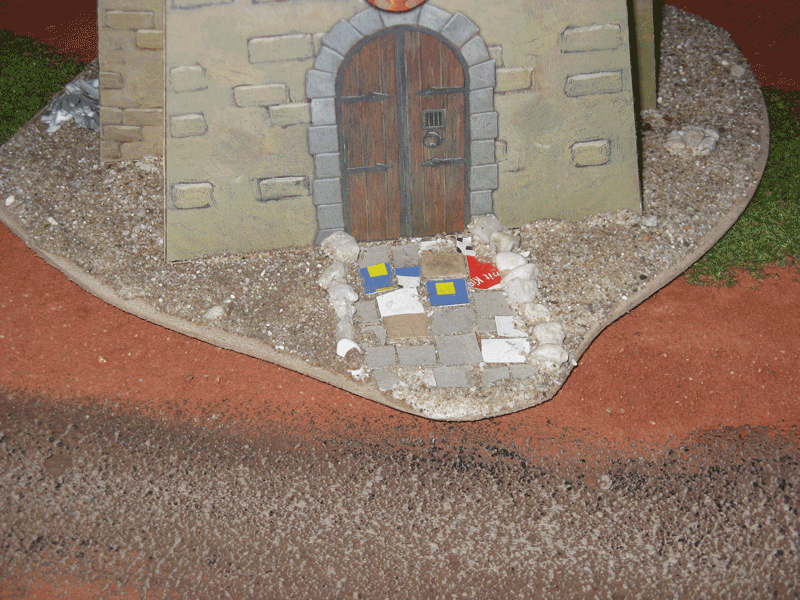 Here the pictures from this project. 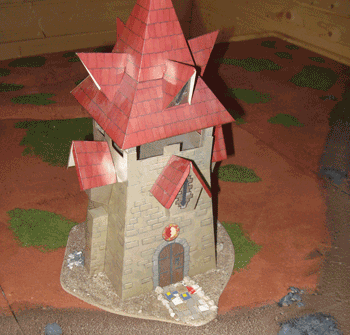 I have fixed the tower on a little board. The glue is for the sand. 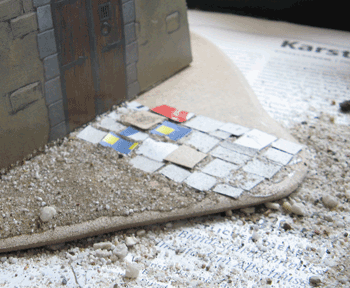 The street are some pieces of sticks. After the first session. 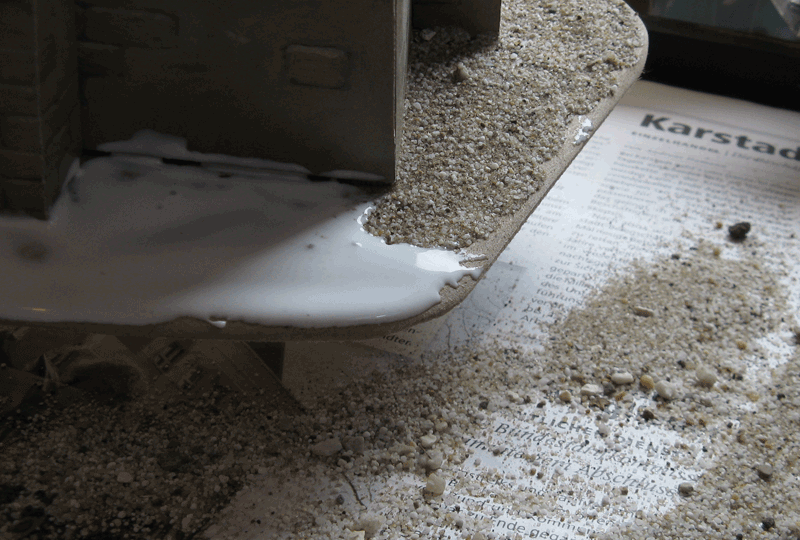 The glue must be dry. 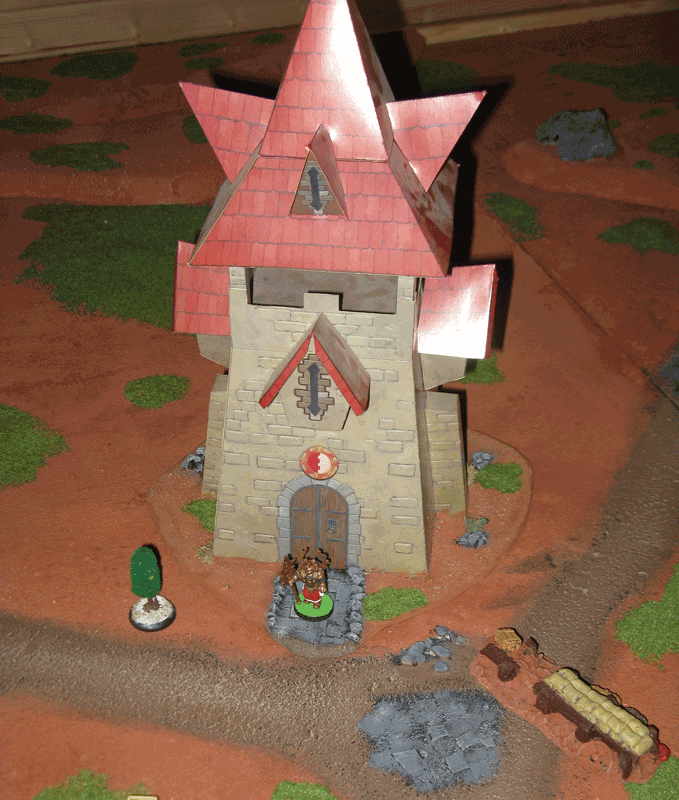 The Tower on the game table. 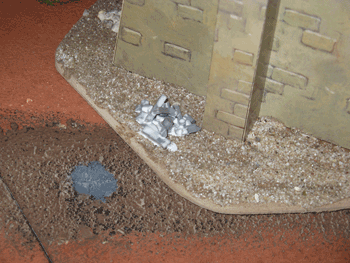 Repulsar Knight in the front. 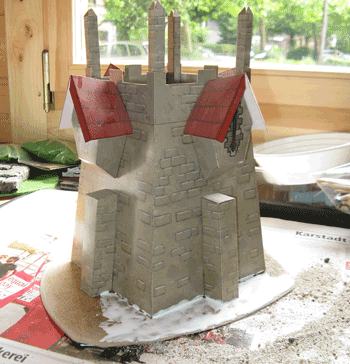 11.08.2010 The tower looks great coki.Must get mine done at some point.How about some pictures with miniatures too. First version from 11.08.2010. 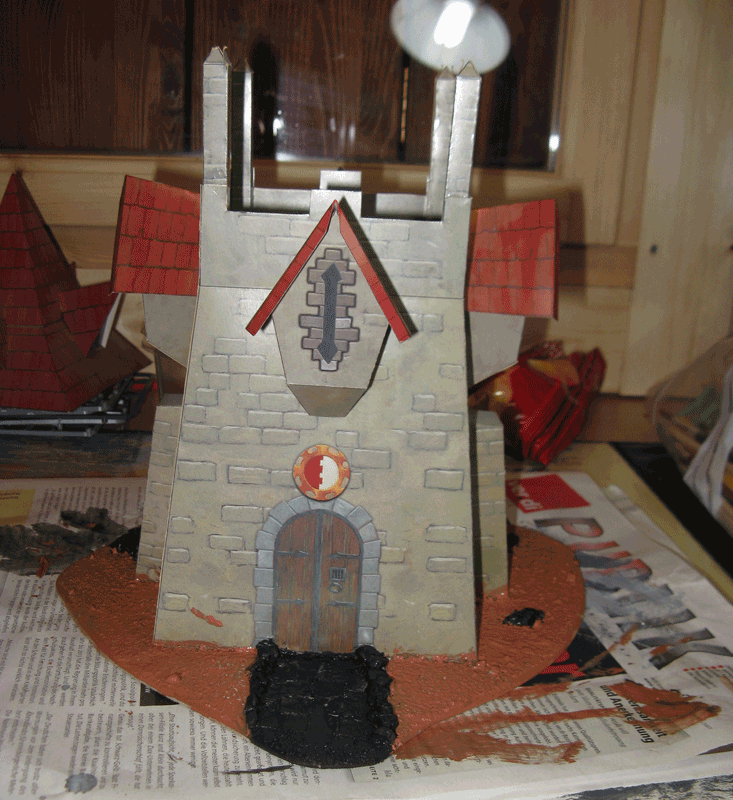 Last Version from 18.08.2010.